It’s WANA Wednesday, with suspenseful reads and romance! 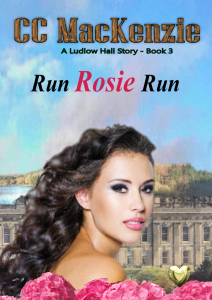 She’s here, and she’s bad… CC MacKenzie celebrates the release of Run Rosie Run, the latest in her Ludlow Hall contemporary romance series. Alicia and Roy Street have released their popular Dance ‘n’ Luv Boxed Set of three contemporary romance novels plus a short story. The Dance ‘n’ Luv series shines a spotlight on women of the dance world. Not necessarily the stars, but the unsung heroines, the dilemmas they face and the men who capture their passions. 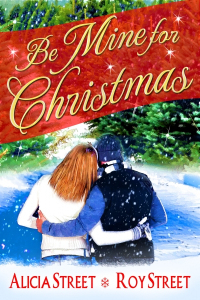 Snow Dance – Divorced Broadway dancer moves to a peaceful fishing village for solitude and instead encounters a needy teen, a pesky ghost and a fisherman who makes her believe in love again. While complete in itself, this 13,000 word story is also a prequel to the novels. Kiss Me, Dancer – A rollercoaster of a ride between a dance instructor and a divorced dad. Can she save her studio without losing her heart? Touch Me And Tango – Ballroom dance star Tanya broke Parker’s heart when they were teens and seeing her again brings back all the fire and fury–plus a secret danger that will change both of their lives forever. Stars, Love And Pirouettes – Two careers, two men. A ballerina faces the choice of a lifetime. Will her heart show the way? 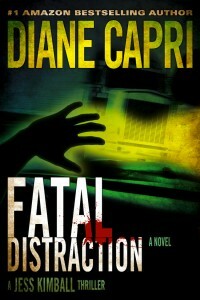 Finally, Diane Capri‘s Fatal Distraction has been out in ebook for a while, but is now available in paperback! Three years ago, beloved Florida Governor Helen Sullivan’s world shattered when her only son died in a senseless car crash, killing his best friend, too. Helen quickly discovered Eric’s crash was no accident and lured the killer to her son’s funeral to be caught. When the shooting ceased in the small country church, Helen believed her nightmare was over. Instead, she’d unwittingly escalated her duel with a cunning and patient assassin. ROW80 Wrap-up: The challenge doesn’t officially end until Thursday, but I now blog on Wednesdays, so I’m posting my wrapup here. This week’s goal was to get Times Two, my Saturn Society boxed set, formatted for upload to Smashwords. That’s done, and I went one better – it’s already published there! Look for an announcement when it’s available in other channels. All in all, this was a very successful ROW80 for me! I finished edits for Hangar 18: Legacy, which is now with my editor, and will release sometime in the next few weeks. I also won NaNoWriMo by writing a completely new book! This one really stretched me creatively – it’s YA, which I never thought I’d write, and contains no speculative elements. Even more surprising, it came in short! But I filled in some holes I’d normally save for revision, hitting the 50,000 word mark for a NaNoWriMo WIN! Finally, I did well with my fitness goals this ROWnd – always a plus! The next round starts on January 7th, and I’m going to be a sponsor! That means if you’re doing ROW80, I’ll be cheering you on even more! What about you? Do my WANA friends’ books sound good, or what? If you are doing ROW80, how did you fare this round? I’d love to hear from you! This entry was posted in Blog, Good Books, Reading, ROW80, WANA Wednesday and tagged Alicia and Roy Street, author, CC MacKenzie, Diane Capri, Hangar 18: Legacy, Jennette Marie Powell, romantic suspense, ROW80. Oooh, these books sound interesting, especially Snow Dance. I love anything with pesky ghosts! Thank you for this, you wonderful biker chic! Catherine, they do, don’t they? CC, you’re welcome – congrats again on the release! Hope to see you for ROW80 2013! And congrats on finishing a YA novel at nano — whew! — as well as getting your boxed set out. Loved Time’s Enemy! Rhonda, thanks! They do look like good books, don’t they! You’re welcome, Alicia – and thanks for the cheers and for reading Time’s Enemy! You did fantastic! Congratulations, Jennette. I can’t wait to hear more about your YA novel. And thanks for listing this fabulous new releases. Our WANA gang has been busy. Debra, I’m not sure yet if I’ll publish the YA novel, but it did come out better than I expected – thanks! We are part of a talented group with our WANA friends, that’s for sure!